What is Security Deposit Management? 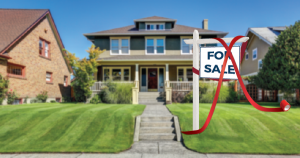 Governor Charlie Baker announced new legislation on Tuesday, April 3rd which would require energy efficiency scorecards to be assessed prior to listing a home for sale in hopes of targeting residential greenhouse gas emission reductions. This proposed energy audit is supported by the environmental community but is generally opposed by realtors as this would impede momentum in this already competitive housing market. This bill should be voluntary, not mandated as this is sure to cause significant delays and increased costs for homeowners to sell their properties.